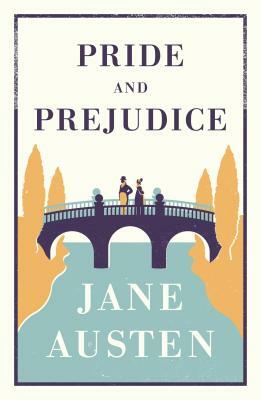 The pride of high-ranking Mr Darcy and the prejudice of middle-class Elizabeth Bennet conduct an absorbing dance through the rigid social hierarchies of early-nineteenth-century England, with the passion of the two unlikely lovers growing as their union seems ever more improbable. One of the most cherished love stories in English literature, Jane Austen’s 1813 masterpiece has a lasting effect on everyone who reads it. Jane Austen (1775-1817) was an English novelist whose works are among the most popular novels ever written. Her keen eye for social tension, and ear for taut, witty dialogue have delighted readers for centuries, while her novels have maintained historical importance through their analysis of the dependence of women on marriage to gain social standing and security. She has been widely adapted for both stage and screen, and continues to be among the most widely-read of late-18th-/early 19th-century writers.